As the end of term draws near, it is time for us to bid farewell and express our sincere gratitude to colleagues who are retiring or moving on to new challenges. The contribution they have made is highly recognised. Several senior leaders are amongst the leavers this year and we thank them for their leadership which has helped ESF strengthen its position as a world leader in education. Thank you to all staff leaving ESF for their positive contribution during their time with us. Click HERE to see more photos. Chris Binge joined ESF at the start of the 2009/10 school year as the Principal of Island School. During Chirs’ eight-year tenure with ESF, Chris lead Island School through many developments and stood out and will be remembered for his creative and innovative work with curriculum design. Chris is moving to South America where he will be heading up another international school. Trudy Lant joined Island School in 1989. She has taken on a variety of roles as a Science teacher, Head of Science and most recently Vice Principal. The Lant family have been very much part of Island School where the girls spent most of lives from the moment they were born. All three graduated with the IB and have gone on to success in England and Europe. Trudy has thrown herself into every aspect of school life. She led students in a number of sports, including a record success run in the Sedan Chair race. She has been known to teach 180 Year 8 students Scottish country dancing simultaneously. Trudy has been the architect of the Island School timetable, which is a work of creative genius enabling the more far fetched aspects of Island Time and Island Futures to be incorporated. She has been one of the key designers of the unique Island School curriculum. She always puts the students first but is also there to support staff when they are in need. Judy Cooper joined ESF in 2004 as Vice Principal of KGV. She was promoted Head of Secondary School (KGV) in August 2015 for the duration of the Kowloon Learning Campus. Judy is moving to Nexus International School in Singapore as the Principal. 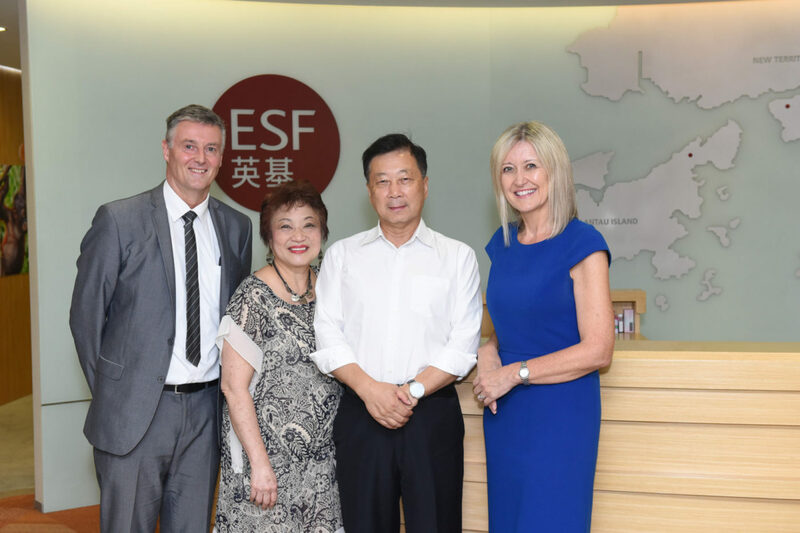 Emma Navin joined ESF Wu Kai Sha International Kindergartens in 2009 as Founding Principal where she stayed for three years before moving back in to primary as Vice Principal at Kennedy School (KS) in 2012 where has been to date. She is moving onto Dubai to take up post at a new all-through school (3-18), North London Collegiate School, as Vice Principal Head of Junior emcompassing kindergarten and primary. Emma has been a trainee for the FRIENDS programme for ESF since 2014 and has also contributed to the emerging leaders programme during her eight years at KS. Ed Wickins joined ESF in 2004 as Principal of King George V School (KGV). Over the last 13 years KGV has been transformed, both in terms of curriculum, with the introduction of the IBDP and the learning environment, with a significant re-build project to improve the facilities. 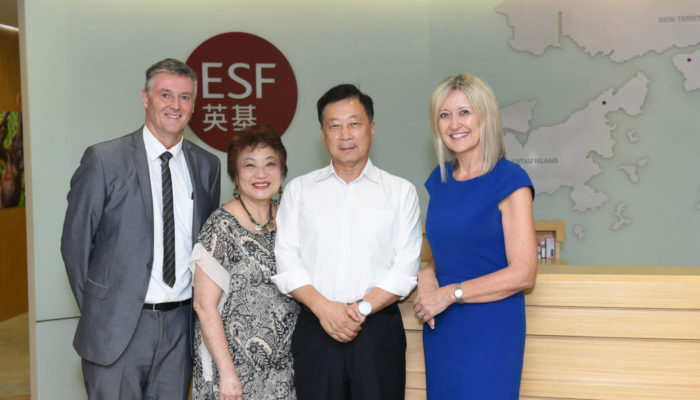 Ed became the Executive Principal of the Kowloon Learning Campus with responsibility for Kowloon Junior School and KGV and for strengthening collaboration to Jockey Club Sarah Roe School. Ed has nurtured a number of staff who have successfully been promoted to principal positions. Ed and his wife Jane are moving to France. We wish them both much happiness. Jayne Wickins is a founding member of Renaissance College (RCHK) in what was formerly called the Humanities Department but is now named the Individuals and Societies Department. In 2010, she was promoted to Head of Department and then promoted again in 2014 to serve as Vice Principal and MYP Coordinator. Jayne is credited with successfully leading RCHK through the IB re-structure of the MYP called the “Next Chapter.” Jayne and her husband, Ed, are moving to France.